Kyrie Irving got team-high 20 points to go with six assists as the Celtics grind out the win in Memphis against the Grizzlies. 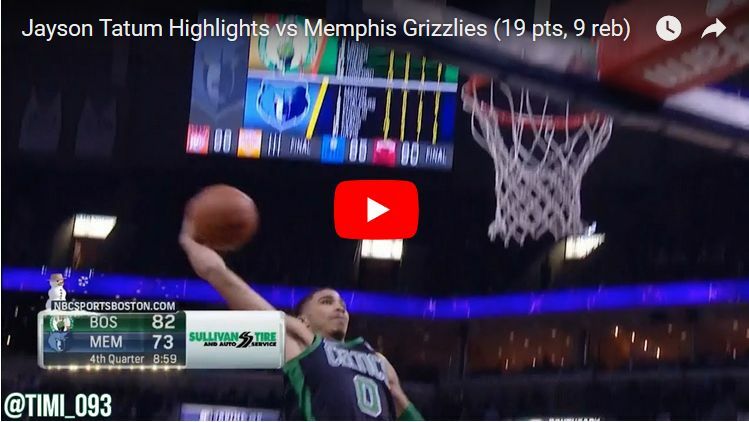 Jayson Tatum added 19 points and nine boards on the night, showing some nice ISO moves. Al Horford chipped in with a statline of 15 points, seven rebounds and six dimes. Aron Baynes finished the game with 13 points on his own, adding six boards as well. Celtics still haven't lost when Baynes is playing 20 minutes or more. Marcus Smart got 11 points to go with five dimes, being pretty good help off the bench along with Terry Rozier who scored 10 points on the night.